Edit venue content description curabitur non nulla sit amet nisl tempus convallis quis ac lectus. Donec rutrum congue leo eget malesuada. Vestibulum ante ipsum primis in faucibus orci luctus et ultrices posuere cubilia Curae; Donec velit neque, auctor sit amet aliquam vel. As a note to our neighbors, there will be a short firework show on the evening of April 28. This display is for a private event and not open to the public. We apologize for any inconvenience. Listed time is subject to change without notice. We are proud to be the heart and soul of Memorial Day commemoration in San Diego. 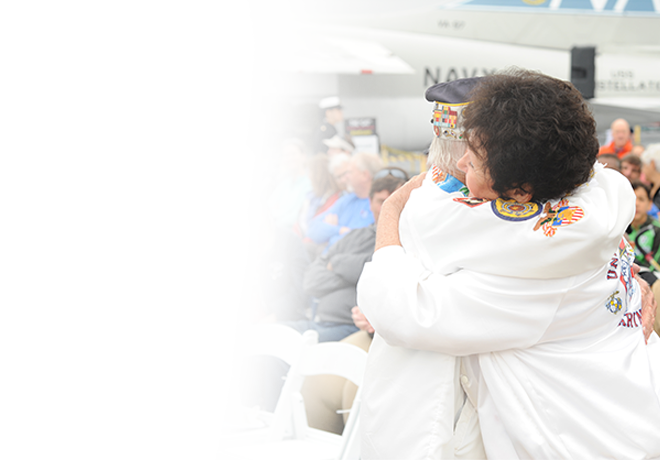 Join us for a lineup of onboard activities to honor and remember our fallen heroes while celebrating our military heritage. 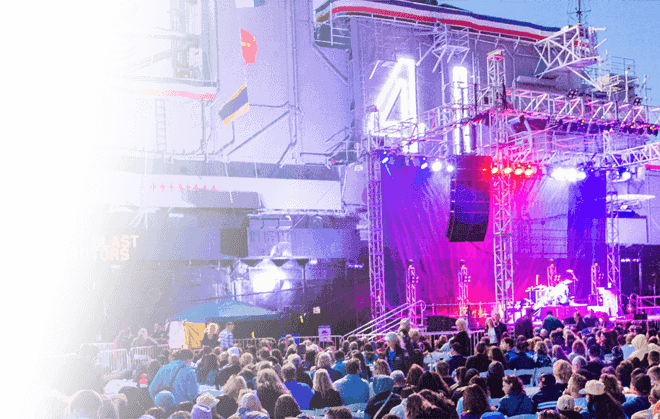 Weekend activities and events offer the community an affordable and inspiring way to kick off summer in San Diego. Our annual July 4th Celebration is the biggest family party in town! 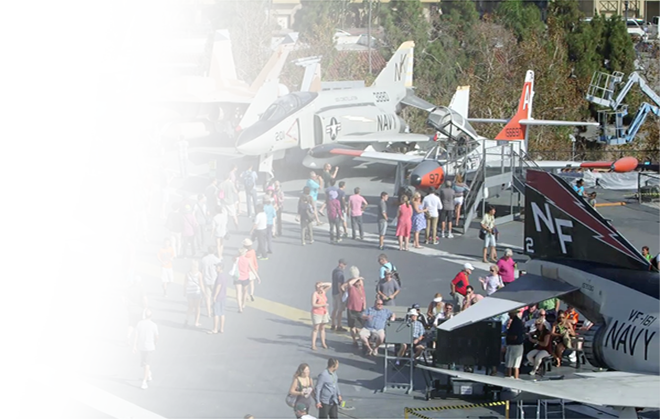 Join us for a family fun event including live entertainment, concession, kid-friendly activities, and a spectacular view of the “Big Bay Fireworks” show from the flight deck. More detail to follow. On the 18th anniversary of the 9/11 attacks, we will pay tribute and honor our fallen heroes, keeping our promise to “Never Forget”. Stay tuned for more details about this special remembrance event. Time and details of the event are subject to change, please check the website regularly for updates. Join us all day long for a fun-filled day celebrating our service men and women! Our annual Veterans Day celebration is always a perfect way for families to honor those who serve our country in uniform. Activities on this day include live music, booths, giveaways, a blood drive, and more! Stay tuned for more details closer to the event date. 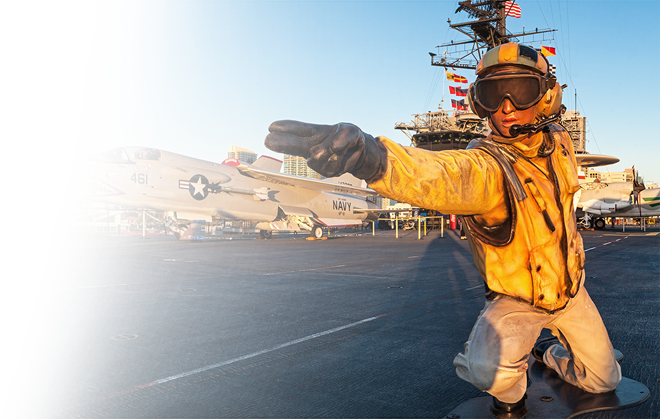 Happy Thanksgiving from all of us onboard the USS Midway Museum! We hope you have a wonderful day celebrating with your family and friends. 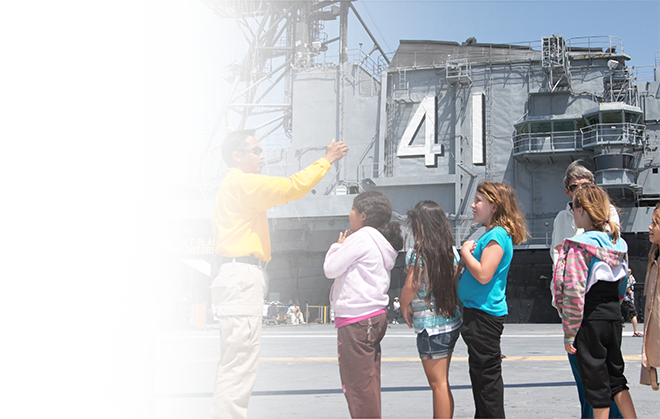 To observe the holiday, the USS Midway Museum will be closed today, Thursday, November 28. 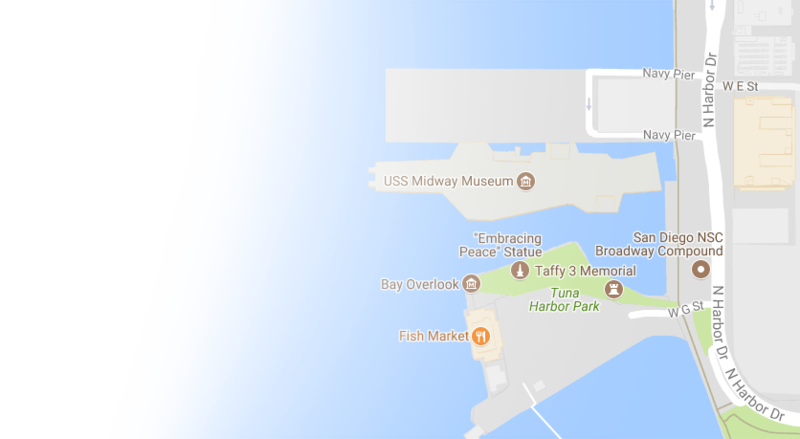 We will be open tomorrow, Friday, November 29 at 10 am and look forward to having you onboard. We are grateful for your support all year long! On the 78th anniversary of the attack on Pearl Harbor, we will commemorate this day with a special remembrance ceremony. Stay tuned for more details about this special remembrance event. Time and details of the event are subject to change, please check the website regularly for updates.